Reminder Patrick is in this week and the fitness center will be open on Wednesday after school for users. Take advantage of this opportunity. The past 2 days I have talked about goal setting and provided some skills to help you with it. Goals are a great motivator, but rewards can also help too. When setting goals, try to build a reward system in for yourself. 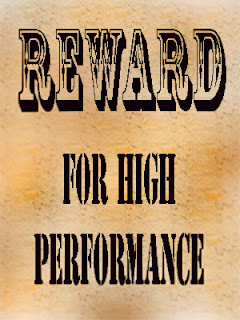 The rewards can be intrinsic or extrinsic in nature. I truly believe different people work harder for different types of rewards. You know what you are willing to work for, so build some of those into your goal strategies. They will help you adhere to and stay the course of meeting the goals that you set. Make sure that your rewards have criteria specific to the goal they are tied to, so there is no question that you have earned it.